The bibliography of glaciotectonic references results from long-term effort by many people under the INQUA umbrella. The bibliography contains references to published journal articles, books and maps, in which glaciotectonic structures and landforms are the major subjects or form significant secondary aspects of the works. A geographic index follows the bibliography. Glaciotectonism refers to deformation of the Earth's crust brought about as a consequence of glaciation. All manner of structures may be produced: folds, faults, fractures, intrusions, etc. Many distinctive landforms may be created by glaciotectonism; these include: ice-shoved hills, push moraines, hill-hole pairs, drumlins, cupola hills, etc. Such features are widespread in regions of former glaciation as well as in proximity to modern glaciers. Glaciotectonic structures and landforms are especially common in parts of northern North America, western and central Europe, and northern Asia—both on land and on adjacent continental shelves. 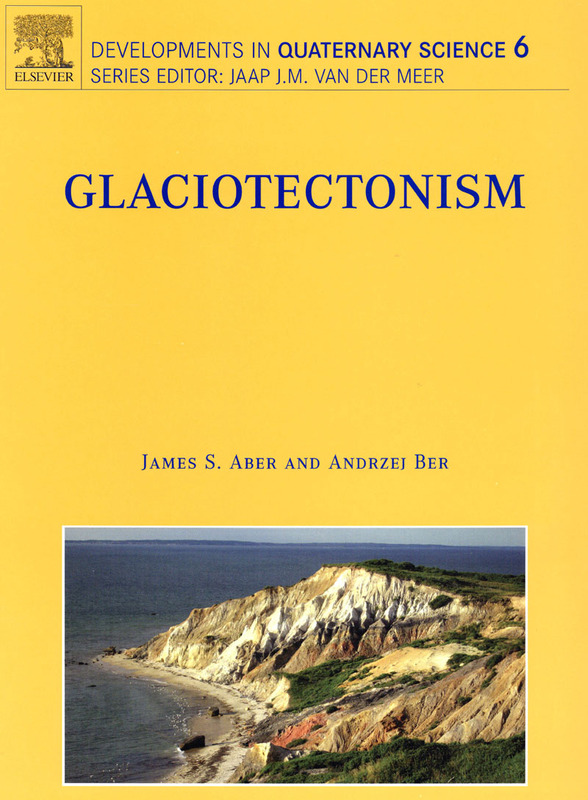 This bibliography was begun by the Work Group on Glacial Tectonics (WGGT) in the mid-1980s. Many members of WGGT contributed material for this bibliography, and James S. Aber has served as the primary compiler. Earlier versions of the bibliography were published by Aber (1988e, 1993c). Bibliographies from Jaroszewski (1991) and van der Wateren (1992) were important additions to the European portion of this compilation. The bibliography was put online initially in 1996, and it was revised and moved to this website in 2003. The current version of the bibliography underwent a major updating in 2006, and new references are added from time to time since then. The bibliography is meant to be selective and representative of published information related to glaciotectonism. Therefore, abstracts, theses, and other informal or unpublished works are generally not included. 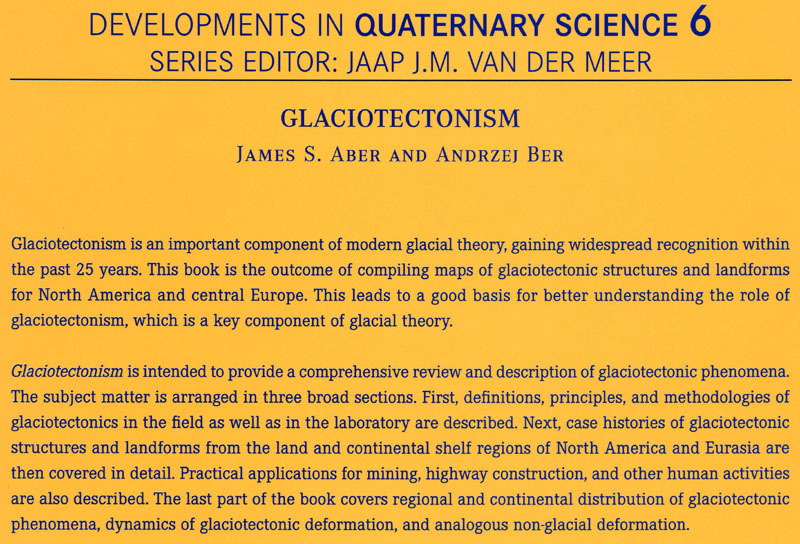 Publications in which glaciotectonics are mentioned only briefly or casually are likewise not included. References are given in several languages, primarily English, as well as Danish, Dutch, French, German, Latvian, Polish and Swedish. English, French, or German translations are given for some Polish and Latvian titles. Standard reference format is used with names of periodicals and publishing organizations spelled out as fully as possible. References are arranged in alphabetical order according to surnames of authors. All letters, including special letters and those with accent marks, are arranged in standard English order. Most special Latin characters are fully formed—å, ë, ó, ü, ý, but certain Slavic letters and the Cyrillic alphabet are not available at this time. Tip: Search the bibliography for key words by using the Ctrl-F (PC) or Command-F (Mac) function on your web browser. A geographic index follows the bibliography. The index has 14 regional categories, as well as a "general" category for theoretical or review works that are not geographically restricted. 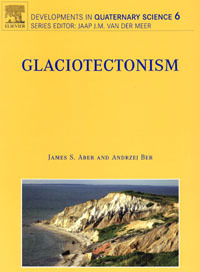 The bibliography of glaciotectonic references was installed at www.geospectra.net in February, 2003. Prior to that time, the bibliography was visited more than 20,000 times at its previous location.